The CHSAA and GCHSAA squared off against their counterparts in the Public Schools Athletic League (PSAL) during the annual N.Y.C. Mayor’s Cup soccer matches played Nov. 18 at Belson Stadium on the campus of St. John’s University, Jamaica. The CHSAA boys’ team dropped a 3-0 match to the PSAL. 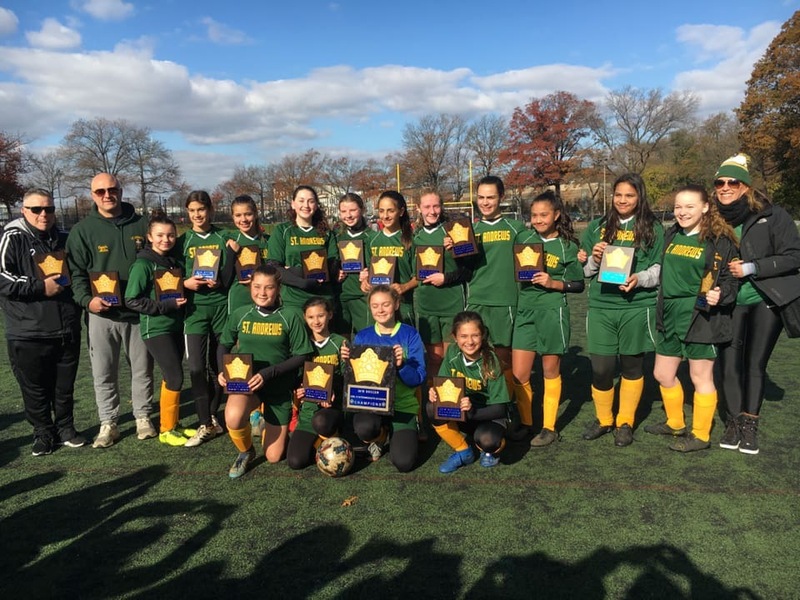 In the girls’ match, the PSAL came away with a 2-1 win over the GCHSAA in double overtime. 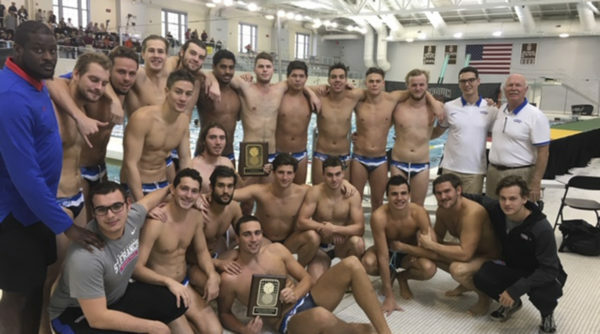 Diocesan high school representatives included on the boys’ team: Matthew Asca, Archbishop Molloy H.S., Briarwood; Vasili Brisnovalis, St. Francis Prep, Fresh Meadows; Todd Charles, Xaverian H.S., Bay Ridge; Patrick Dandrea, Xaverian; Marco Oliveri, Holy Cross H.S., Flushing; Matthew Vetell, Molloy; Justin Silva, St. Francis Prep; Paul Todaro, St. Francis Prep; Mario Olmedo, Cathedral Prep and Seminary, Elmhurst; and Michael Dorcean, Molloy. The girls’ team included: Elise Fargo, Molloy; Emily Scarda, Molloy; Kerianne Koenig, The Mary Louis Academy, Jamaica Estates; Karen Pineda, Christ the King H.S., Middle Village; Karol Guaman, Christ the King; Daniella DiCarlo, Fontbonne Hall Academy, Bay Ridge; Megan Heerey, Msgr. McClancy H.S., East Elmhurst; Eleni Spiratos, St. John’s Prep, Astoria; Melanie Lahura, St. Agnes H.S., College Point; and Jillian Howard; Fontbonne. The squad knocked off Brown University, Providence, R.I., 13-9 in the consolation game. The Terriers dropped a 9-7 contest to Princeton University, N.J., in the tournament semifinals. Junior attacker William Lapkin was named to the All-Tournament First Team, while senior attacker Bogdan Kostic earned a spot on the All-Tournament Second Team.